It uses udon noodles which is a nice change from the classic egg noodles so commonly seen in beef noodle stir fry recipes. Even if you have not heard of udon noodles, they are commonly available in most grocery stores in the Asian food aisle. They are delicious and kids love them. The sauce used in this recipe, although incredibly simple, is dynamite. 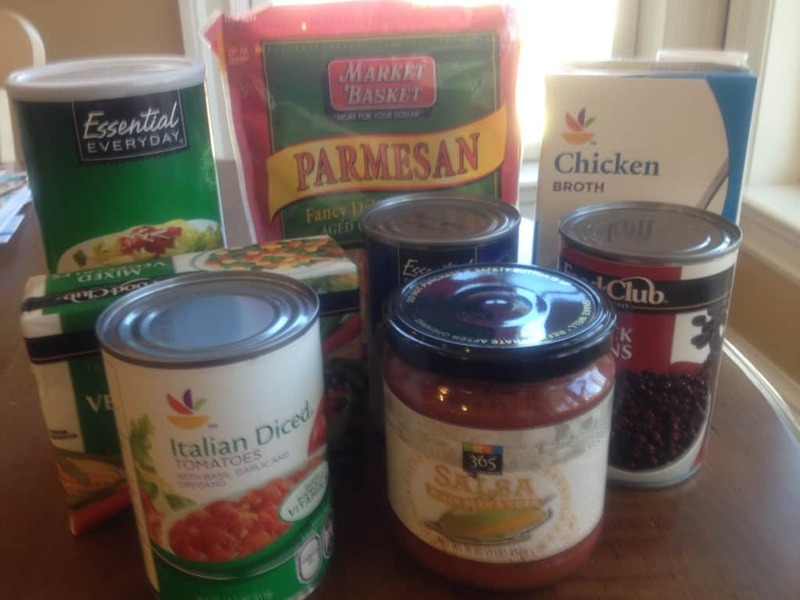 Even better it makes use of items you most likely have in your pantry. It is quick and easy to get on the table on a busy weeknight, as is the case with all our recipes. If you are really pressed for time, you could consider buying the peppers pre-sliced, if available at your store. 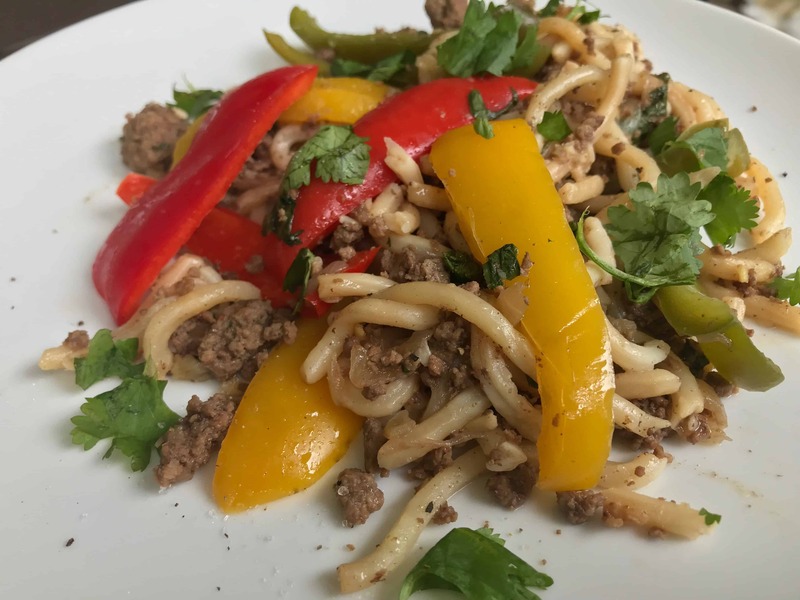 It is economical-ground beef, an onion, a few peppers, the noodles, and some pantry staples. Best of All, It’s Delicious! Most importantly, this beef and noodle stir fry recipe is absolutely delicious! 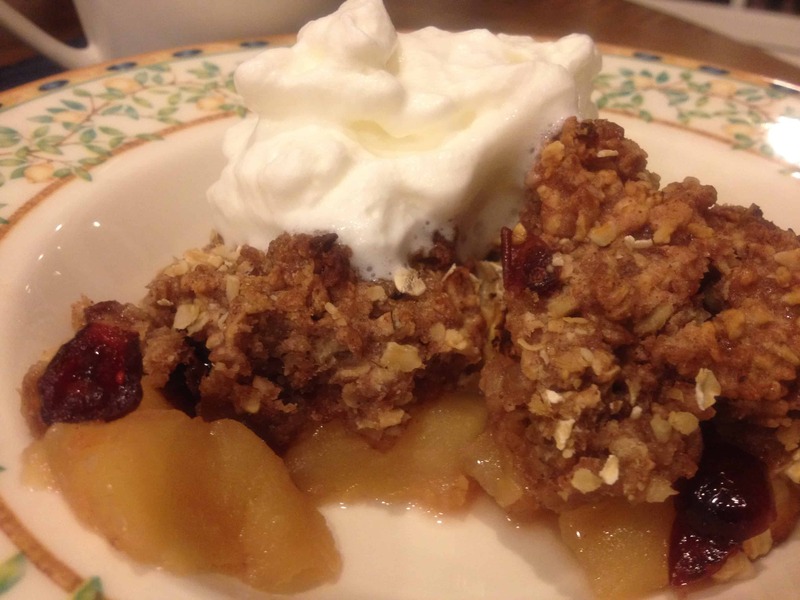 The kids love it, the adults love it, and it is different enough to delight dinner guests. 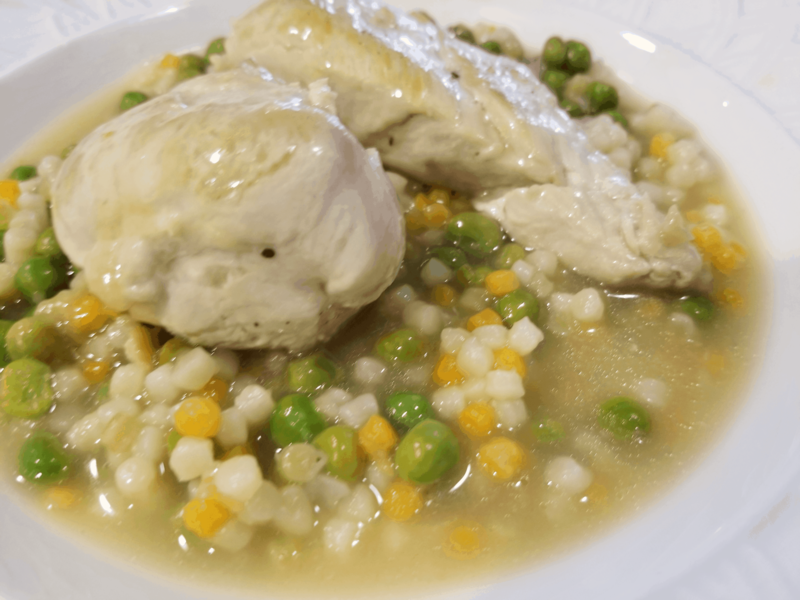 We have made this recipe numerous times and not once has there been leftovers. Not even a smidge! 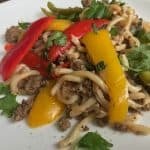 A great weeknight beef and noodles recipe. Simple and delicious. Cook udon noodles according to package instructions (if you cannot find udon noodles, you can always use egg noodles or another wide noodle). Drain and set aside. In small bowl, whisk soy sauce, rice vinegar, brown sugar, garlic, ginger & sesame oil. Heat vegetable oil in large skillet over med-high heat. Cook beef and onion until beef is browned and no longer pink. Stir in peppers and sauce and continue cooking until crisp tender (approx 3-4 mins more). Combine beef mix with noodles until combined. Hope you enjoy it! Please let us know what you think in the comments section below. 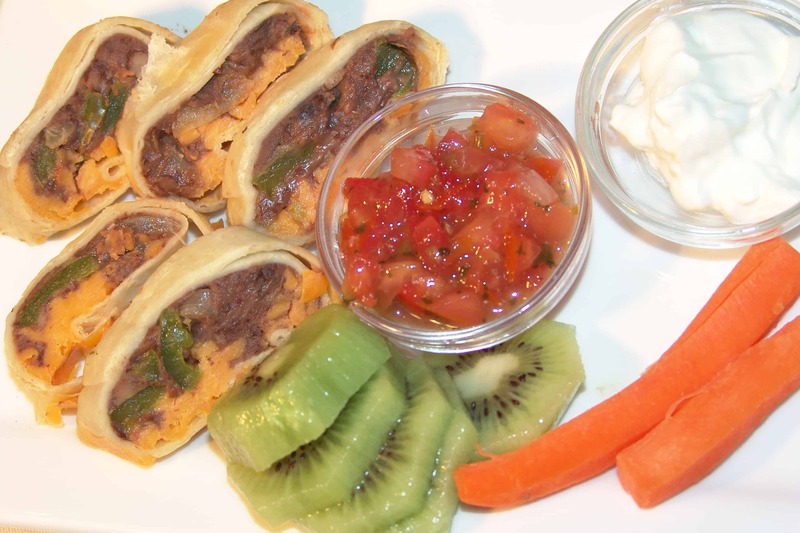 Want to check out more of The Dinner Daily’s easy weeknight recipes? Take a look at Rigatoni, Broccoli and Chicken. Or if you are more in the mood for beef, try Beef and Mushroom Dijon. Tired of coming up with dinner ideas every night? 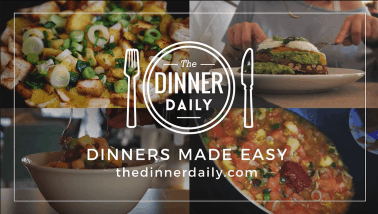 Learn more about how The Dinner Daily can can do your dinner planning for you! Interested keeping your dinner budget down? Learn how The Dinner Daily can help.